There was an air of depression about the club in the early 1960s that McShane was unable to lift. In truth, Mourinho would have struggled to lift the spirits of that side. 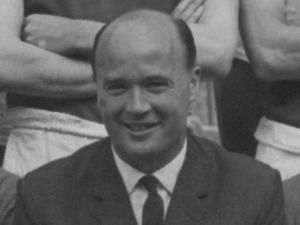 Despite the occasional promising start the team did not finish above twelfth in his time here, mainly for the reasons Albert Holmes hinted at. McShane’s inability to motivate his charges appeared real enough, and his attempts to get more out of them by playing them out of their established positions assumed an almost legendary, comic status among supporters. McShane played the old “I’ll drop the lot of you” card in December 1965 after a lack of effort from senior pros, threatening to bring in the reserves, although his position was somewhat weakened by the fact that the reserves had won just two of their nineteen games thus far! Needless to say, this outburst had no effect on players who knew they were safe until the end of the season.